What voice is suitable to describe the horrors of the Third Reich? From whose perspective should the catastrophic events be narrated? What is the relationship, in such circumstances, between the requirements of fiction and the historical record? These questions are not new ones. That the Nazi era erects barriers to philosophical reasoning, historical explication and fictional representation is commonly assumed, while attempts to portray the period also risk accusations of sensationalism or fetishisation. A survey of recent European fiction, however, indicates that the difficulties that writing about the Third Reich entails are generating some fascinating narrative strategies – historical novels which consistently return to questions of authorship, authenticity and the limits of thought. Most controversial among these is Jonathan Littell’s The Kindly Ones (first published in French in 2006 and in English in 2009). The novel is posited as the memoirs of Max Aue, an SS officer who participates in the Babi Yar massacres, is severely injured at Stalingrad, inspects Auschwitz and survives the fall of Berlin. Aue is a confident and confrontational villain: ‘I am guilty, you’re not, fine. But you should be able to admit to yourselves that you might also have done what I did’ (Littell 20). Though many reviewers have emphasized Aue’s demand for a shared humanity – ‘I live, I do what can be done, it’s the same for everyone, I am a man like other men, I am a man like you. I tell you I am just like you!’ (Littell 24) – few have noted the double desperation contained in such lines: while the narrator wants to establish a connection with the reader before detailing his gruesome past, the author also needs to justify his own act of imagination. ‘The only option was to put myself in the perpetrators’ shoes’, Littell has explained. What this means in practice is the creation of a highly literate protagonist. Aue turns to Plato when faced with a pile of bodies, reads Stendhal on the Eastern front, picks up some Blanchot in Paris and carries Flaubert’s Sentimental Education during the final retreat. If camp survivors such as Primo Levi and Jean Améry were interested in the position of the intellectual in Auschwitz, then Littell is concerned with the intellectual in the SS. Finding a new language to describe these events is a central part of this. Reflecting on the war, Aue claims, ‘Even those who were actually there hardly ever use anything but ready-made thoughts and phrases to talk about it’ (Littell 12-13). This, of course, is an immediate challenge to the novelist – a reminder that familiar historical material requires an especially creative response. It is also a claim that recalls Hannah Arendt’s judgment on Adolf Eichmann: ‘he was genuinely incapable of uttering a single sentence that was not a cliché’ (Arendt 48). For Arendt, these linguistic limitations were ‘closely connected with an inability to think, namely, to think from the standpoint of somebody else’ (Arendt 49) – one definition, we might say, of what a novel can do. It is notable that among the many prominent Nazis to appear in The Kindly Ones (a list which includes Himmler, Speer and finally Hitler himself) it is Eichmann who receives the most extensive treatment. In a novel much concerned with twins, Aue and Eichmann form a contrasting pair: the exemplary ‘middle manager’ versus the intellectual (Littell 570). Whereas Eichmann was famously criticized by Arendt for his ‘sheer thoughtlessness’ (Arendt 287), Aue is told by his closest friend: ‘“you think too much. It’s bad for you”’ (Littell 142). While Arendt thought Eichmann suffered from a ‘lack of imagination’ (Arendt 287), Aue is a perpetual fantasist. Indeed, The Kindly Ones is a highly unstable text – combining sexual reverie, bureaucratic overload, horrific imagery and absurd humour in immense, claustrophobic paragraphs. For over 900 pages, it moves with the slow, crushing momentum of a tank. Like the killings it describes, The Kindly Ones is both bewildering and brutally efficient. Littell’s focus on the perpetrators, rather than the victims, may be seen as a contribution to what Christopher Browning called the ‘fundamental problem’ of the Holocaust: the question of how ‘ordinary men’ were able to carry out ‘the most extreme genocide in human history’ (Browning 222). 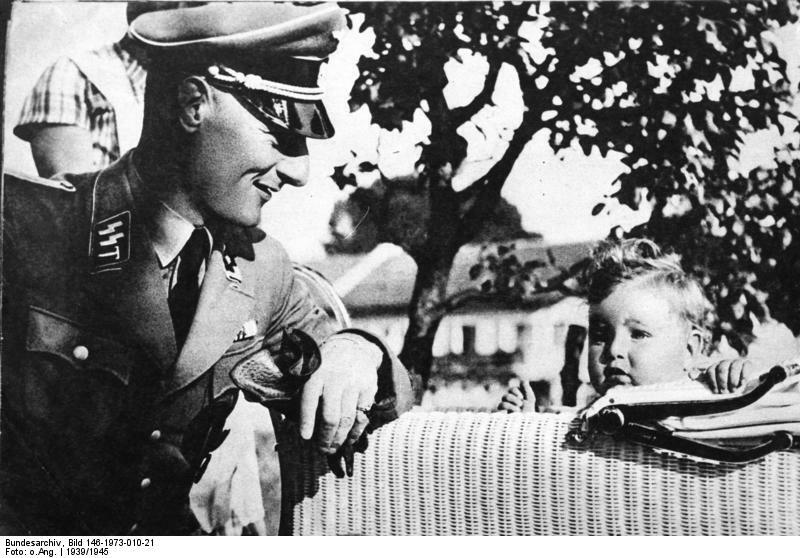 However, by making Aue’s personal life so unusual – he has an incestuous relationship with his sister, and murders his mother and step-father – Littell rejects the idea of a Nazi everyman. Instead, he claims, he wanted Aue to be ‘a roving X-ray, a scanner’ – something less like a ‘character’ and more like a device that can penetrate surfaces or detect patterns in the darkness. Strangely enough, this leads to Aue often sounding like Arendt in stressing personal judgment and critical thinking. When discussing the mobile killing squads of the east, he says: ‘If we were committing an injustice, we ought to think about it, and decide if it was necessary and inevitable, or if it was only the result of taking the easy way out, of laziness, of a lack of thought. It was a question of rigor’ (Littell 43). What Aue objects to, then, is not so much the killing itself, but rather his colleagues' lack of self-awareness. Once again, clichés are the problem here. When his fellow officers discuss their actions, Aue complains that ‘there wasn’t a single authentic reaction in all these boasts and platitudes’ (Littell 241). Just as Littell wants to put himself in the perpetrators’ shoes, Aue is struggling hard to think though murder. Yet, this shared search for explanations manifests itself in unexpected ways. Aue is peculiarly aware of his creator’s desire to inhabit the mind of a murderer. As a result, his reflections are filled with extreme self-consciousness: ‘I was trying to see what effect all this would have on me. I was always observing myself: it was as if a film camera were fixed just above me, and I was at once this camera, the man it was filming, and the man who was then studying the film’ (Littell 107). Aue, in this weird elision, becomes author, character and reader, all at the same time. The camera metaphor returns at other times in the novel and, notably, is cited as a cause of the very clichés that Aue (and Littell) desperately want to avoid: ‘seeing myself this way, constantly, with this external gaze, this critical camera, how could I utter the slightest authentic word, make the slightest authentic gesture?’ (Littell 447). We might see this ‘external gaze’ as evidence of Aue’s growing detachment from his horrendous actions, but it also betrays the broader context of the novel: the huge imaginative task Littell has set himself repeatedly seeps into his protagonist’s thoughts. All of which failed to convince one of the most vocal critics of The Kindly Ones: the narrator of Laurent Binet’s HHhH (first published in French in 2009 and in English in 2012). In a sequence of short chapters, often only a paragraph or two in length, HHhH interweaves an account of Reinhardt Heydrich’s assassination in Prague in 1942 with the creation of the book itself – how the narrator first learnt about the events, his response to other fictions dealing with similar material, and the thoughts of his friends and family. While Max Aue wanted to avoid clichés and platitudes, HHhH is determined to avoid the conventions of historical fiction: interior monologues, invented dialogue, fictional characters. The inherent compromises of the genre should, at the very least, be openly acknowledged, the novel demands. For instance, after detailing the many people who helped the two main assassins, Binet’s narrator admits: ‘No reader could possibly retain this list of names, so why write it? For you to remember them, I would have to turn them into characters. Unfair, but there you go’ (Binet 150). Here, as throughout, the narrative voice is light, playful, even whimsical, certainly compared with the thick prose of The Kindly Ones. The term Binet’s narrator coins for his approach – ‘What I’m writing is an infranovel’ (Binet 205) – is an ambiguous one. Does he mean a text which exists in the space between history and fiction? Is this another device, akin to the ‘roving X-ray’ or ‘scanner’ utilized by Littell, that can see below, beyond or through the surfaces of history? What is clear is that Binet’s narrator is convinced his method is superior to Littell’s approach: both in HHhH and in sections of the novel that were apparently omitted at the insistence of its publisher, he is highly critical of The Kindly Ones. These remarks often appear rather naïve: ‘I want to know how things really happened, so I expect [Littell] to tell me – at the very least – when an episode is true and when it is his invention’. They ignore the self-conscious instability of The Kindly Ones, where Aue regularly admits the arbitrary nature of his impressions: ‘What I remembered? I didn’t even know what a memory was anymore’ (Littell 887). They also place an incredible faith in a rather narrow notion of history, as if evaluation, interpretation and dispute were not constitutive elements of that discipline. 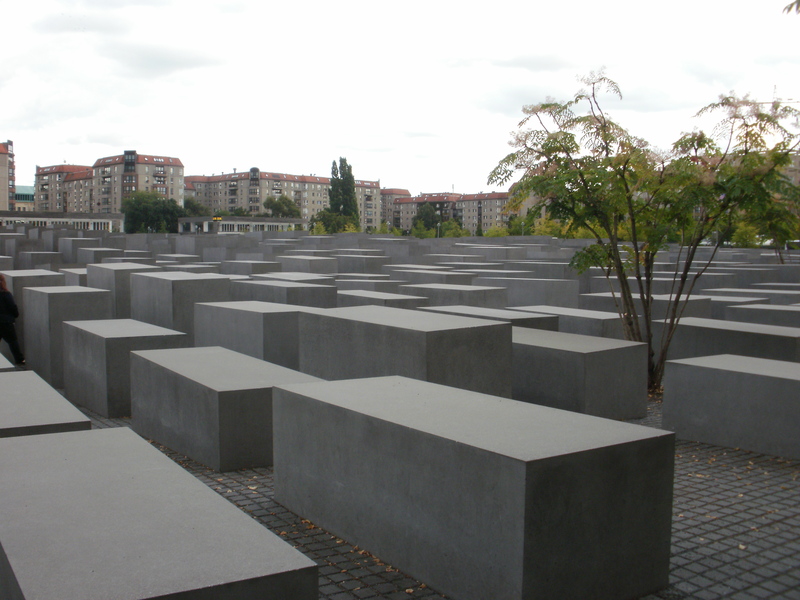 Jean Améry is not the only observer to conclude, that when it comes to the Holocaust, ‘history itself becomes useless as a concept’ (Amery viii). 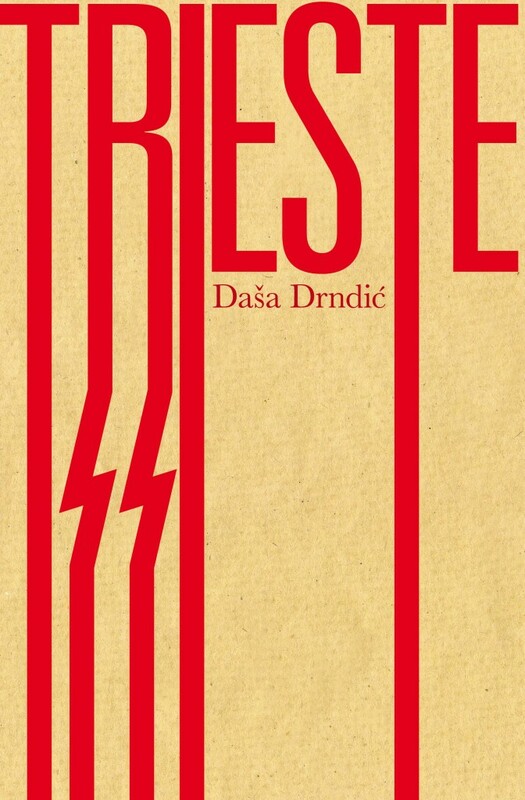 The third and final novel that I would like to consider here – Daša Drndić’s Trieste (first published in Croatian in 2007 and in English in 2012) – features a much looser collage of historical materials. These include photographs, maps, transcripts (some taken from the Nuremberg Trials, others imagined), extensive footnotes and biographical summaries. These fragments seem to comprise the research archive of the novel’s central (fictional) character, Haya Tedeschi, who is searching for her son, fathered by the real-life SS officer Kurt Franz. As the novel progresses, the controlling third-person narrative voice moves from the poetic – ‘Life knits circular pathways. It submerges in a repetitiveness without which it would die’ (Drndić 99) – to an increasing anger and desperation. There is bitter criticism of the Red Cross (‘always late or never gets there at all’) and for contemporary claims of historical transparency: ‘With the excuse of protecting the privacy of the victims, Germany has been protecting its own reputation for fifty years’ (Drndić 245, 249). It is a much more despairing novel than either The Kindly Ones or HHhH. Haya has spent sixty-two years conversing ‘with the voices of the dead’ (Drndić 1), looking for explanations: these efforts have left her no wiser about the past. I have arranged a multitude of lives, a pile of the past, into an inscrutable, incoherent series of occurrences. I have spent eight years probing these lives, these pasts, at the same time drilling into myself. I have dug up all the graves of imagination and longing I have come to. I have rummaged through a stored series of certainties without finding a trace of logic (Drndić 352). CITATION: Richard Martin, "The Third Reich in Contemporary Fiction," Alluvium, Vol. 1, No. 5 (2012): n. pag. Web. 1 October 2012, http://dx.doi.org/10.7766/alluvium.v1.5.04. Dr Richard Martin completed his PhD at Birkbeck’s London Consortium, having previously worked for two years at the Commission for Architecture and the Built Environment (CABE). He has taught at Birkbeck (University of London), Middlesex University and Tate Modern. He is currently adapting his doctoral thesis, entitled The Architecture of David Lynch, and is living in Berlin. Améry, Jean. At the Mind’s Limit: Contemplations by a Survivor on Auschwitz and its Realities, trans. Sidney Rosenfeld and Stella P. Rosenfeld (Bloomington: Indiana University Press, 1980). Arendt, Hannah. Eichmann in Jerusalem: A Report on the Banality of Evil (London: Penguin, 2006). Binet, Laurent, HHhH, trans. Sam Taylor (London: Harvill Secker, 2012). Browning, Christopher R. Ordinary Men: Reserve Police Battalion 101 and the Final Solution in Poland (London: Penguin, 2001). Drndić, Daša. Trieste, trans. Ellen Elias-Bursać (London: MacLehose Press, 2012). Littell, Jonathan. The Kindly Ones, trans. Charlotte Mandell (New York: Harper Perennial, 2010). ______, Interview with Samuel Blumenfeld, Le Monde, 17 November 2006: http://thekindlyones.wordpress.com/littell-interview-with-samuel-blumenfeld/ [accessed 18 September 2012]. 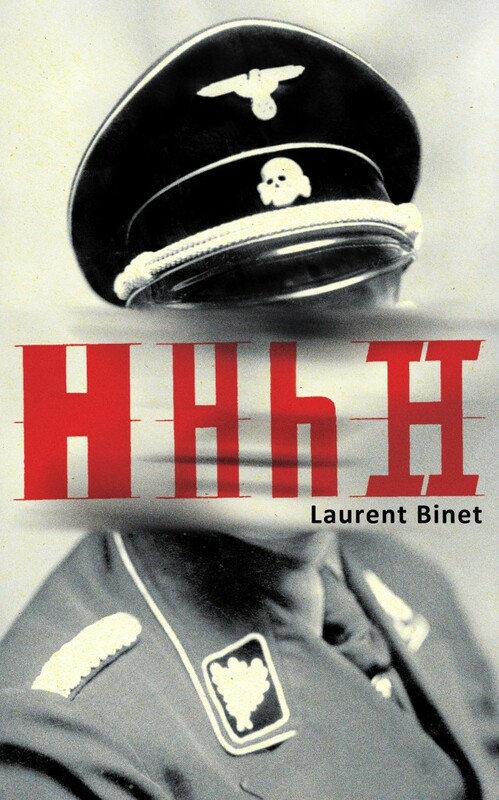 ‘Exclusive: The Missing Pages of Laurent Binet’s HHhH’, The Millions, 16 April 2012: http://www.themillions.com/2012/04/exclusive-the-missing-pages-of-laurent-binets-hhhh.html [accessed 18 September 2012]. Thanks, Richard, for this illuminating article. I think you're right about The Kindly Ones – a much more complex narrative voice than most reviewers give it credit for. The other novels are new to me but look very interesting and relevant to my own research. Great use of Alluvium! I've just read your article with great interest. You may be interested in my novel La Rochelle (Route, 2010), in which the Third Reich is a running motif. The novel was named after the French port whose German garrison (according to one historian of the Second World War) continued to hold out after the death of Hitler. La Rochelle was shortlisted for the James Tait Black Prize for Fiction (2011). Good luck in your other projects. The banality of literature seems ever more evident. Aue's first-person character, ''I live, I do what can be done, it’s the same . . .', is a less than protean charater. What of his presumed war crimes? Apparently, Nazi bric-a-brac is not so decorative as it is brain-numbing. The third person narrative of Dasa Drndic, '. . . Germany has been protecting its own reputation for fifty years’ and 'the Red Cross is always late or never gets there at all', evidences judgements suggesting an authorial agenda. It seems the real failure of holocaust fiction is an inability to judiciously implement existential quantifiers, as if doing so would, through some voodoo, turn a blatantly black and white situation gray.